Dog Walking, Dog Sitting & Daycare. 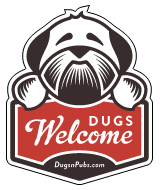 Find a Dog Walker, Pet Sitter or Dog Daycare in Fife, Scotland. A professional dog walking and pet sitting service based in Duloch, near Dunfermline. There are a total of 1 posts in the Fife category.